Cabbagetown’s history began in the 1840’s when thousands of Irish immigrants settled here after fleeing the potato famins in their homeland. These first Cabbagetown residents were very poor. To put food on the table they grew cabbages on their front lawns, which is how this district came to be known as Cabbagetown. Cabbagetown’s working class community was particularly hard hit by the Depression of the 1930’s. Cabbagetown historian Hugh Garner, wrote that the Depression turned Cabbagetown into “the worst Anglo Saxon slum in North America”. The worst slums were concentrated south of Gerrard Street. These homes were razed in the 1950’s and replaced by the Regent Park housing development. 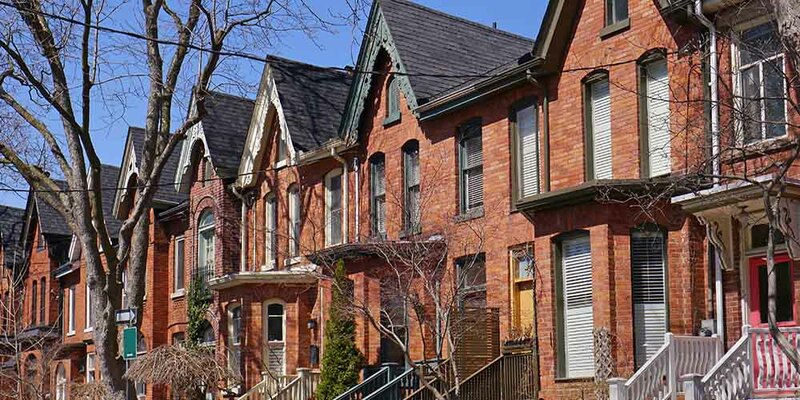 Cabbagetown was revitalized in the 1970’s and 1980’s by new home buyers, who restored much of this neighbourhoods fine collection of Victorian homes. Cabbagetown is now considered one of Toronto’s most gentrified neighbourhoods. Cabbagetown is one of Toronto’s most popular neighbourhoods. Its residents come from a wide variety of backgrounds, however they all share a strong sense of community spirit and pride in their neighbourhood. 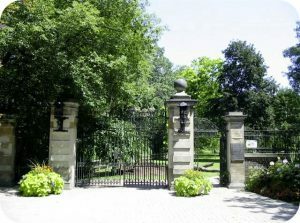 The Cabbagetown neighbourhood was once described by the New York Times as “containing the largest collection of Victorian homes in North America”. Cabbagetown’s houses were built between 1860 and 1895. Most of these houses have been lovingly restored under the watchful eye of the Cabbagetown Preservation Association. 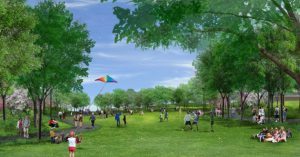 The Association, comprised of local residents, plays a vital role in ensuring that all Cabbagetown renovations and new developments are in keeping with this historical neighbourhood. The ‘Old Cabbagetown’ shopping district on Parliament Street features many one-of-a-kind shops and a vast array of restaurants. The Carlton Street shopping district is similar in tone to Parliament Street, but on a much smaller scale. Cabbagetown also has small retail pockets on Gerrard Street, Sherbourne Street, and Wellesley Avenue. Cabbagetown’s recreational centre is Riverdale Park. This park is the home of Riverdale Farm. Riverdale Farm is modelled after a late 19th century Victorian farm and includes horses, cows, pigs, sheep, goats, chickens, geese and ducks. 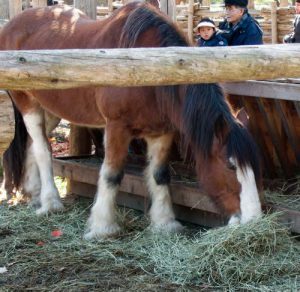 Riverdale farm is open seven days a week and admission is free. Riverdale Park also contains sports fields and serves as an access point to the Lower Don Recreation Trail. The Cabbagetown Community Arts Centre on Parliament Street has music, drama and dance programs for children. The Cabbagetown Youth Centre on Lancaster Avenue offers sports, and arts and crafts programs. Cabbagetown’s Public Library is located at the corner of Gerrard Street and Parliament. The Sherbourne bus and Parliament streetcar connect passengers to stations on the Bloor-Danforth subway line. The Wellesley and Carlton Street buses connect commuters to the Yonge-University-Spadina subway line. Winchester Park is on Ontario Street at Winchester St., about halfway between Carlton & Wellesley. The park contains a baseball diamond, dog run area and splash pad for children in the summer. Wellesley Park is a little gem hidden in the middle of Cabbagetown.It includes a small playground but its main appeal lies in the setting of the park, with houses without front lawns directly facing the park. The trees are mature and majestic. There’s a staircase to explore down the grassy slope, where the forest thickens. Down the stairs, turn left and you’ll reach the trail which runs along Rosedale Valley Road (quite spectacular in the fall). 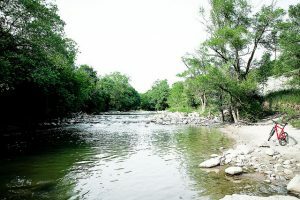 Riverdale Park is divided in half by the Don River. The park’s east side, accessed by Broadview Avenue, contains two baseball diamonds, three playing fields, a soccer field, runnning track, ice rink, tennis courts and a pool. The west side of the park, on the west side of the Don Valley Parkway, contains a field house with washrooms, two baseball diamonds and two sports fields. Note: Dogs, bicycles, in-line skates, foot scooters, ride toys, and vehicles are not permitted on the Farm’s property. Our lower gate which allows access to Riverdale Park West/Broadview Avenue foot bridge is open May 1 – November 1(9:15 am – 4:00 pm daily). Riverdale Farm is a representation of a rural farm in Ontario. It is not a petting zoo. We ask that our visitors do not feed the farm animals, as hand feeding can encourage aggressive behaviour and discourage consumption of their controlled nutritional diet. Riverdale Farm is located 3 blocks east of Parliament Street along Winchester Street or 3 blocks north of Gerrard Street East along Sumach Street. Allan Gardens Conservatory is a major landmark and tourist attraction in downtown Toronto. It’s historic, cast-iron and glass domed “Palm House” was built in 1910 and is designated under the Ontario Heritage Act. A botanical gem in the heart of the city, Allan Gardens has a permanent collection of exotic plants and beautiful seasonal flower shows. A quiet 3.4 heactare park near Castle Frank Road and Bloor Street East featuring an entrance with ornamental gates, a mature tree canopy and a dogs off leash area. The park is adjacent to Milkman’s Lane, with access to a ravine trail and the Don Valley Brick Works.